I’m a nomadic web dev + consultant that can help you create wonderful things for your web, system and business needs. I believe that having passion and clear core values are crucial to any project, big or small. I strive to make great contributions to your projects and people's lives. From early in my childhood, I always loved to envision, create, as well as fix and tinker with things. Solving problems, improving or making something better is something I always enjoy. 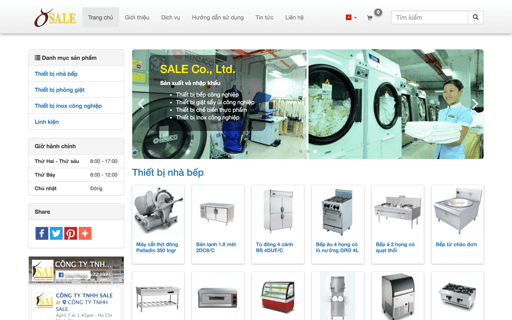 E-commerce sites, portal sites, reservation systems and APIs. Wordpress sites with custom designs and logic. Design and coding of a desktop and responsive mobile sites. Currently I am now focusing on remote web development to better fit my lifestyle and get various experience and challenges from various clients and projects around the world. I'm also constantly learning other software and programming languages to experiment and to further broaden my skills. When I'm off work and studying I love spending time with my lovely wife, exploring (around the world or around the neighbourhood), taking photos or just chillin' in a café. We begin the project by understanding the goals, about you and your users or customers. We start to design: brainstorm, iterate and refine ideas into more concrete concepts and/or working prototypes. We develop the solution and optimize as much as we can to provide the best performance and experience possible. Designed personal website rebuilt with ReactJS. SALE is a supplier and consultant for industrial kitchens. The responsive website with Admin area to manage content was built using FuelPHP framework and Twitter Bootstrap. 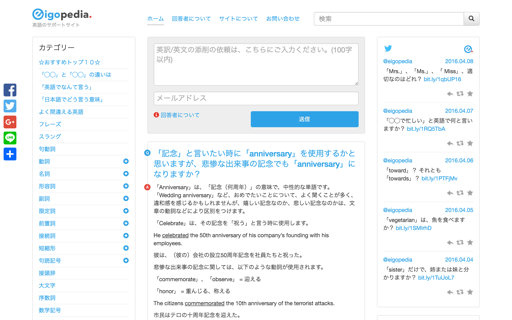 Eigopedia is an English resource site for Japanese who can ask simple questions about various English words and expressions. The site was built using Wordpress and the theme was customized based on the Simple Bootstrap template. 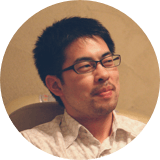 Wataru is a pleasure to work with and has improved our website's design considerably. He has allowed us to concentrate on our core business more and leave him to optimize our online presence. Use the blue button in the lower right to let me know directly if you have any questions, comments or anything you would like to discuss with me. I will try to reply ASAP, usually within a day or two.